I was polishing a pair of shoes the other day and it occurred to me that I’ve never talked about what’s in my own personal shoe collection. Not only that, but I haven’t written a proper review about the shoes I currently own. Since I haven’t bought a new pair of dress shoes in a while, everything I own I’ve worn for quite a while and I can talk about owning them long term and what my experience has been. So, without further delay, this is my long term review of the Allen Edmonds Strand Cap-Toe Oxford. I’ve owned these shoes for a little less than 5 years and I wear them often. They’re a nice balance between dress and casual, especially in the Walnut color. They can easily be worn with jeans, chino’s, slacks and, if you’re daring enough, even shorts. 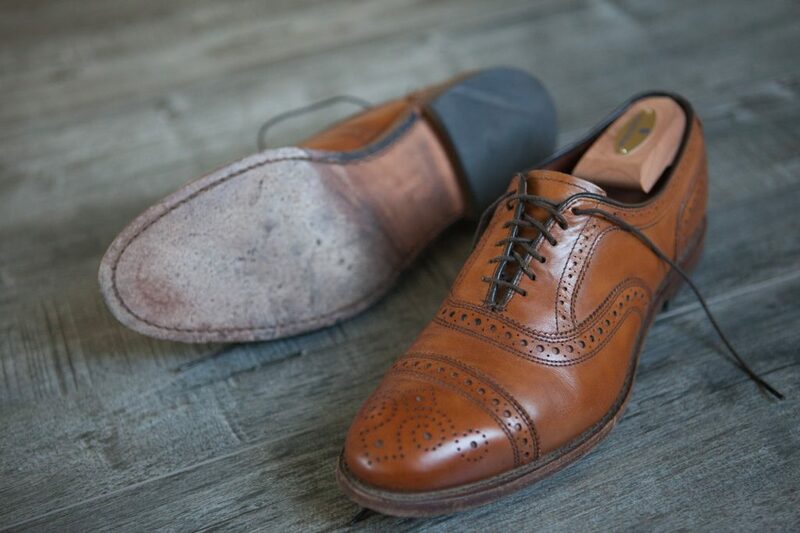 A little about the brand; Allen Edmonds shoes are made in the USA with quality materials and leathers that breathe, repel moisture, and hold their shape and age gracefully. Most all modern lower price-point shoes have soles that are glued on. 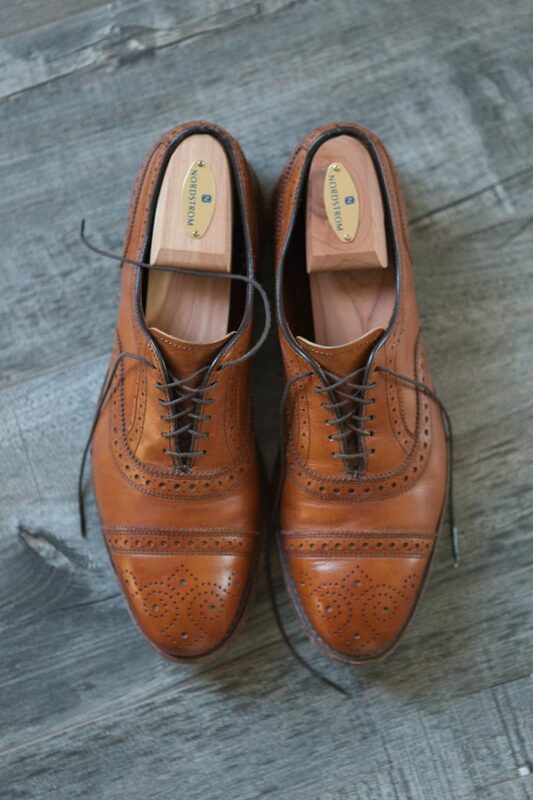 Allen Edmonds is made with a 360° Goodyear welt created in the United States in 1871. The process of joining the shoe’s upper to its insole in this manner is labor intensive and more expensive than modern sole gluing techniques. However, the durability of a Goodyear welted shoe is unmatched and provides the opportunity to re-craft the shoe later on if the sole ever needs to be replaced. These are perhaps the most comfortable dress shoes I own and their timeless classic design will be as relevant in 10 years as it is today. Now, they are more expensive than other dress shoes, but what you’re buying into is longevity, comfort, durability and quality, not something that’s disposable after 6 months. I use shoe trees when I’m not wearing them and polish when they start looking dull, but other than that, I wear them somewhat hard. These still look great and have the original laces and soles. I am 100% happy with them and now, after writing this, I want another pair. If you’re looking for a nice quality pair of shoes for the holidays, I highly recommend checking out Allen Edmonds on line or at your local Nordstrom. I’ve also linked their short video showing some of their manufacturing techniques. Check it out! Love that classic, old timey look. LIke a true gentlemen from the 20’s/30’s. You are so right about quality and getting what you pay for. Well worth it! Hi Katelyn, thanks for your comment!